Navigate the traffic and current affairs in real time. 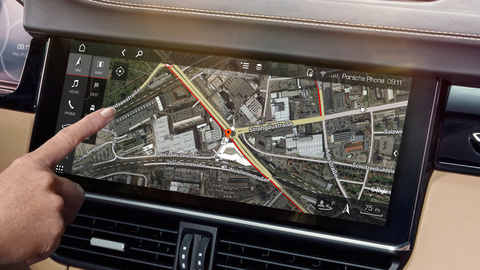 You can navigate, call up information or enjoy entertainment in real time in your Porsche. Navigation Plus, Search, Voice Pilot, Radio Plus, News, Weather, Safety Radar. 24 months included for free. Whether to access vehicle data or to lock your vehicle: the Car Remote Package is the perfect remote control for your Porsche. Directly on your smartphone. Car Control, Trip Control, Lock & Unlock, Carfinder, Car Alarm, Location Alarm, Speed Alarm, Valet Alarm. When the Connect Plus equipment option is purchased, the package can be used free of charge for 12 months. 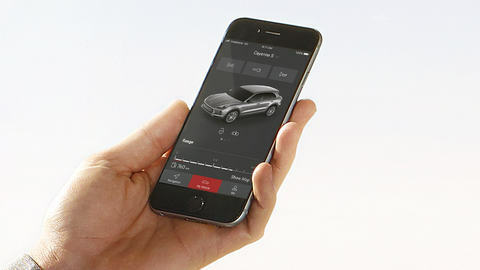 You can transmit your location and all relevant vehicle information to Porsche Assistance at the touch of a button. Synchronise your destinations and calendar with your Porsche, plan journeys with real-time traffic information and enjoy music services. Keep track of your Sports Car at all times and control specific vehicle functions with your smartphone. Dear store visitor, You are now leaving the official Porsche Connect Store. Porsche Smart Mobility GmbH accepts no liability for the content on the pages that follow. 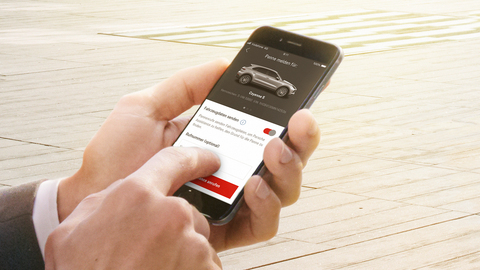 In order to take full advantage of the features offered by Porsche Connect, please first log in at My Porsche.